Richard and Christian Wilkins mistaken for a gay couple. 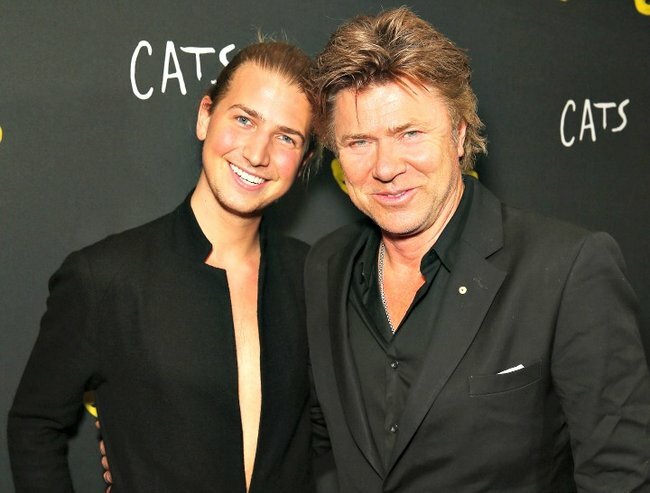 Richard Wilkins and his son have been mistaken for a couple. What could be more awkward than people mistaking your dad for your partner? But that’s exactly what’s happened to the Today show’s Richard Wilkins and his son. Christian Wilkins, 20, told news.com.au that the pair were recently mistaken for a couple. Christian, who is a Cleo Bachelor Of The Year finalist, also said having a famous dad didn&apos;t help him get any dates with the ladies. “It’s mainly, like, 60-year-old women who listen to Smooth (FM) and I’m like, ‘Ugh, that’s not really what I’m feeling’,” he said. Check out one of our favourite Richard Wilkins moments. Post continues after video. Ok, so it&apos;s a bit embarrassing to have people think you&apos;re dating your dad. But we also think it&apos;s nice that the father-son duo are so close. What&apos;s your most awkward family moment?